"I do what I do because I enjoy the challenge, the process, and the results. All else seems beyond my control." Enigmatic Tree Acrylic on canvas 12 x 16 in. 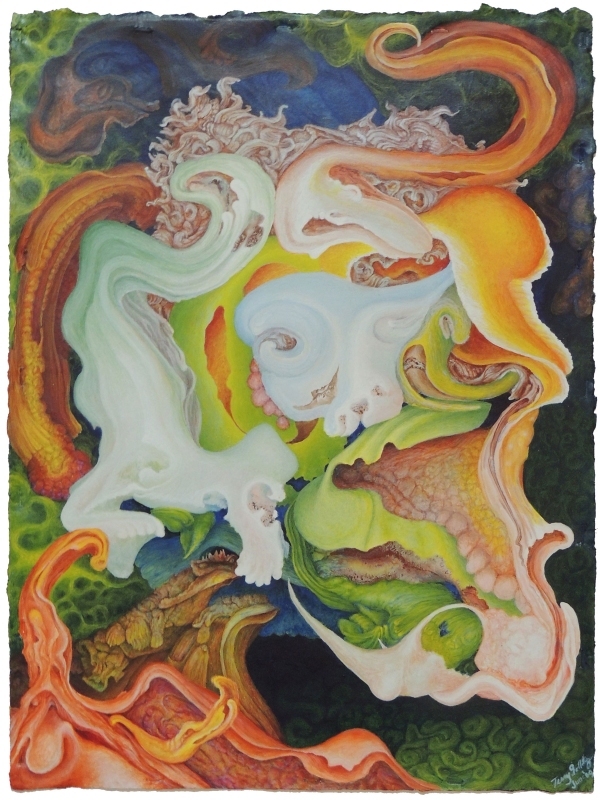 "What I paint is abstract organic form or maybe abstract surrealism. In my more delusional moments, I believe that what I am doing is important. In reality, I do what I do because I enjoy the challenge, the process, and the results. All else seems beyond my control. I am offering the viewer a playground for the mind, with lots of treasures to discover and forms that they can mold into whatever their current mood moves them to create. Each painting has its own evolution. My concern is in creating a unified composition of color and form which allows maximum participation of the viewer in the artwork. Since the form does not represent an image that the viewer can immediately recognize and label, they are allowed tp look inward to themselves to create with their own imaginations." 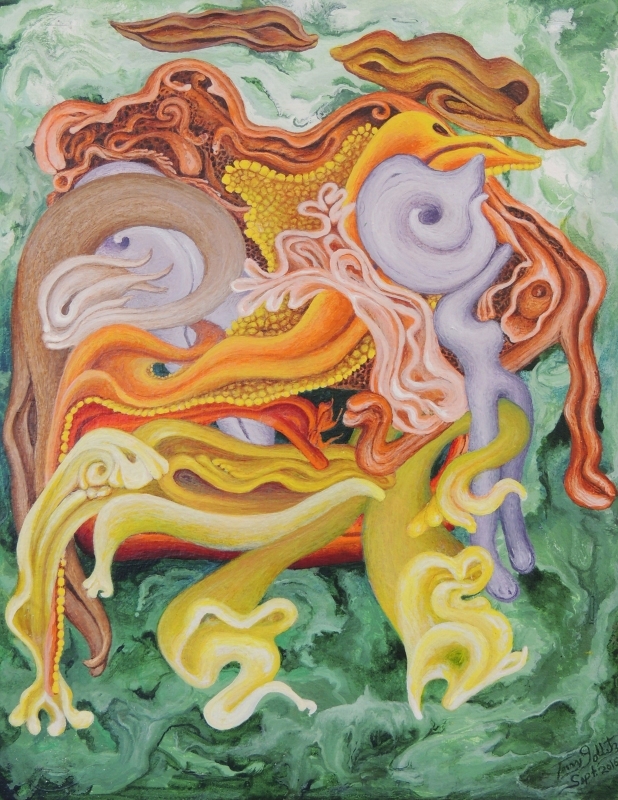 Que Sera Sera Acrylic on paper 13.5 x 17.25 in. The Oddities Acrylic on canvas 18 x 24 in. The Pharmacist Acrylic on paper 9.5 x 12.5 in. Born 1948 in Kitchener, Ontario, Terry Golletz currently lives in Elora. He has been President of the Colour and Form Society, Ontario and is a published artist with presentations of his work in World Wide Art Books’ Current Masters II, 2016 book and Important World Artists 11, 2017 book. Golletz graduated at Ontario College of Art - A.O.C.A. and has a BFA from The University of Guelph, Ontario, as well as a BFA in Vocational Arts Qualifications from Queen's University in Kingston Ontario - B.Ed. He recently had a one-man show at Ben Navaee Gallery, Toronto. 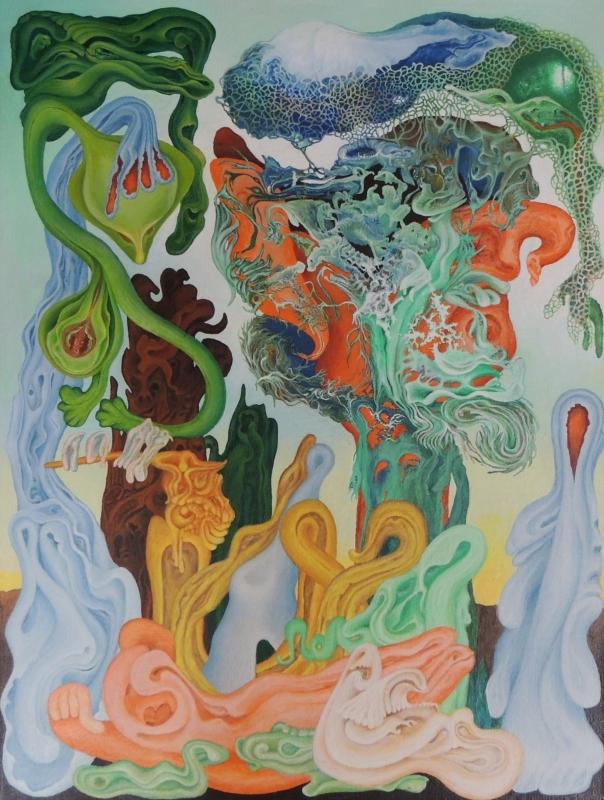 Golletz’s works are deeply complex and psychedelic. 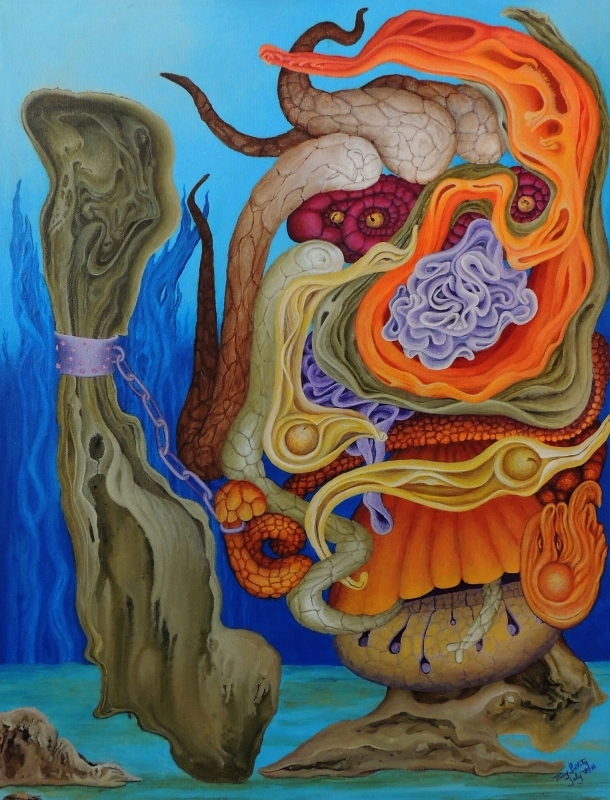 A look across his portfolio shows not only dedication and a unique style but the artist seems to have created a personal language, a vocabulary with which he makes up bizarre, abstract narratives that tell surreal open-ended stories. 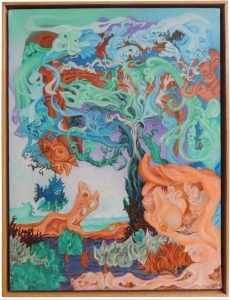 Each painting is recognizably Golletz, fluid, vibrant, bold and eccentric, yet each composition remains distinctive and special.